FREEPhonics from Primary Concepts with 82 lessons designed to help pre-K students build vocabulary and reading skills. Versions in Web, PDF, and EPUB. Flexbooks/e-textbooks in Math Science, English, History, and more. TextbookRevolt (formally Socialbib) is a service, where students offer up old textbooks that they no longer have a need for and trade them for ones that they do need. Links to texts in the categories of Biology, Business, Computer Science, Math and Physics. Academic Commons is dedicated to the development of free web-based resources for academic professionals focusing on liberal arts education via digital tools. The news aggregator showcases current developments and projects in the open education community. Instructors can create a customized textbook with book chapters, case studies and journal articles. AcademicPub provides services to track how much royalties will cost for each custom textbook. The CCCOER collects open access resources for the creation of textbook alternatives, in addition to open content repositories and developmental tools. Access to over 500 open textbooks, as well as a useful guide to creating and implementing your own open access textbook. Provides a new approach to college textbooks offering rigorously reviewed textbooks online free of cost to students. 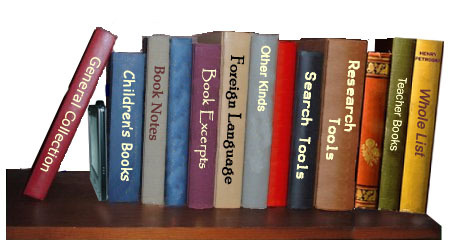 Offers full-text online for free and in a variety of affordable formats. A pilot project for the Ohio Textbook HQ, the Ohio Digital Bookshelf aims to provide inexpensive higher-ed textbooks. Free registration required to view textbooks. A collaboration of more than 200 higher education institutions and associated organizations from around the world creating a board and deep body of open educational content using a shared model. A catalog of open access textbooks to be reviewed by faculty members, made available by the University of Minnesota's College of Education and Human Development. All textbooks in this catalog are openly licenses, complete, and available in print at very little cost. A free and open, online, not-for-profit art history textbook with complete multimedia content. A catalog of information about some of the top examples of open college textbooks, offered online under a license allowing free digital access and inexpensive print options. Material can be easily modified to fit your needs. Subjects covered: Accounting & Finance; Business, Management & Marketing; Computer Science & Information Systems; Economics; General Education; Humanities & Language; Mathematics & Statistics; Natural & Physical Sciences; Social Sciences. Join venture between the Terry College of Business of the University of Georgia and the Daniels College of Business of the University of Denver. Individual book chapters can be opened and modified to fit your own needs. An evolving online community intended for the planning of education projects linked with the development of free content and the development of free content on WikiEducator for free learning. Includes links to pages created by faculty worldwide who are using the Web to deliver course materials in any language. An introductory algebra textbook, covering concepts including arithmetic, word problems, graphing and lines, equations and expressions, exponents, and polynomials. Includes a graphing applet, a prime factorization machine, and a prime number list. This resource is part of the Teaching Quantitative Skills in the Geosciences collection. Nature is in a constant state of change, with each new development building on what already existed. Elementary Algebra with Applications, Third Edition, follows the same pattern - it develops concepts and ideas as natural extensions of previously learned material. This problem-solving approach leads today's students beyond memorization to a true conceptual understanding. Elementary Algebra is a work text that covers the traditional topics studied in a modern elementary algebra course. It is intended for students who (1) have no exposure to elementary algebra, (2) have previously had an unpleasant experience with elementary algebra, or (3) need to review algebraic concepts and techniques. NOTE: This book is a work in progress and has not yet been marked up in CNXML. You can download individual chapter PDF files from their respective modules.